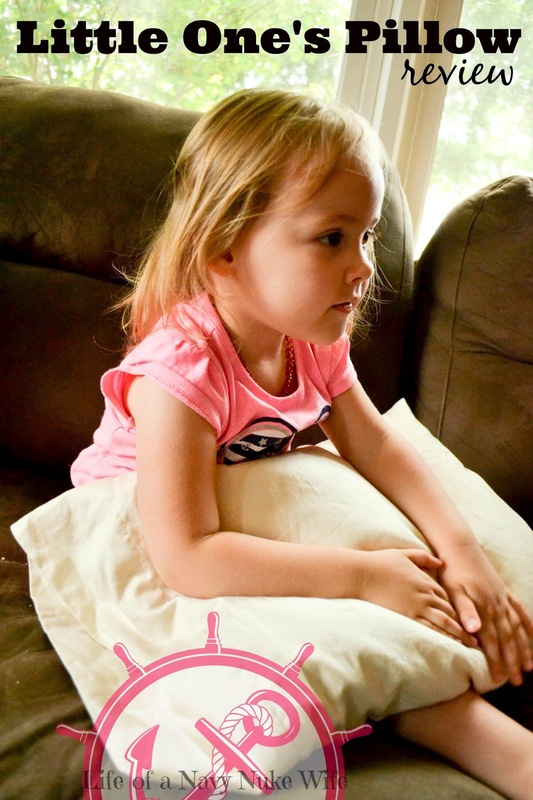 Little One's Pillow is a small American family owned business who are into making pillows for toddlers. They stand behind all of their products, which are made of organic cotton. I was sent a pillow and pillowcase in exchange for my honest review. I really love this pillow! It's the perfect size for my little two year old, and she loves it. She's always asking for her "Josie sized pillow please, mommy" and brings it with her everywhere. It's the same as our pillows except toddler sized. 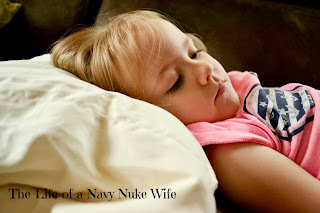 I love that you can use any pillow case with this pillow and it works out fantastic, or you can get the organic cotton pillow case from this same company. This pillow is medium soft so I don't feel like it's hurting her neck when she lays on it, but it's also supporting the weight of her head. She tells me that she loves it often, and she doesn't sleep without it anymore. I'm glad we decided to try it out! This pillow is blank, I know the picture shows a little picture on it, but that's just the packaging, the pillow is an off white (because it's organic non bleached cotton). Only the best for my little girl, and I love this! It's easy to wash and comes out super soft and ready to hold a cute little toddler face right out of the dryer, unlike the shape pillows from Target. We have an owl pillow in my daughters room, and it's hard, and doesn't look too comfortable. It's harder to clean than this pillow, which you can just throw in the wash without worrying that it will change shape, or warp. So why organic cotton? Well, here is a handy little image to help you see why it's so awesome. I love that it is organic cotton! I'd really like to buy organic more often!